The Northampton School was established in 1852 after a merger of two Orders. The Sisters of Jesus who had been resident in Northampton since 1845 were in danger of closure as four of their Sisters had died in a typhus epidemic and so it was suggested that they join the Sisters of Notre Dame de Namur. In the 19th and early 20th centuries Northampton had a very small Catholic community, so the school had a large number of non-Catholic students. 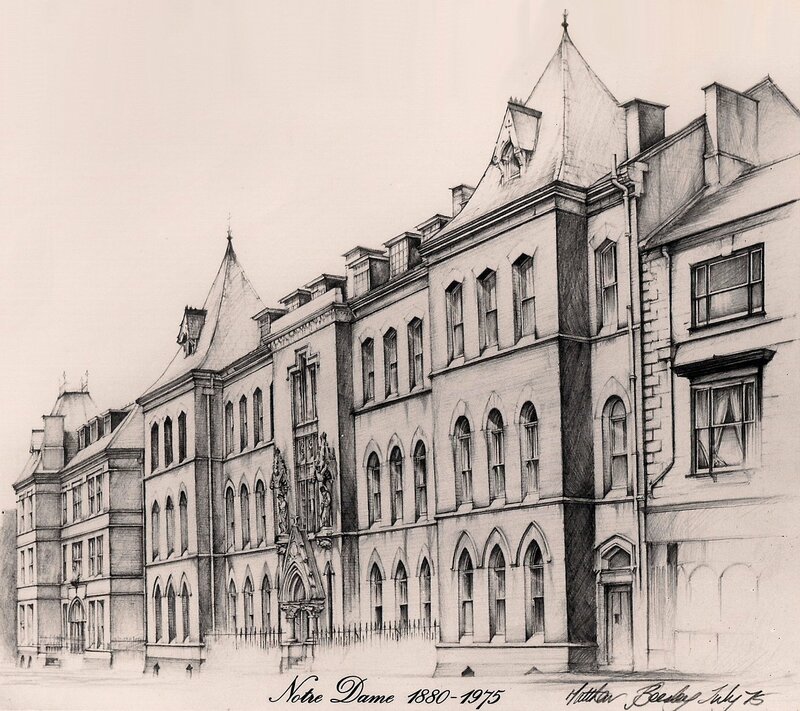 In 1870 a new building was erected dominating the eastern end of Abington Street in the town centre. 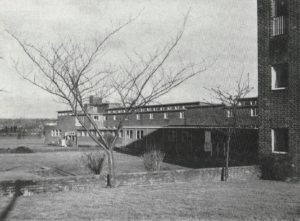 There were additions to the school buildings in 1938 and in 1950 a Domestic Science and Biology block was built. By 1970 the building was obviously unsuitable for the needs of a modern Comprehensive school and its future became doubtful. Amongst many things the school was noted for its musical successes. Sister Gabriel and Sister Gerard (in charge of elocution) produced Nativity plays and entered choirs, soloists and speakers for the local Eisteddfod. Northampton Notre Dame earned a reputation for winning most of the top awards. At the end of a lane called Notre Dame Mews (off Abington Street) is the Sisters’ cemetery-all that remains of Notre Dame. Notre Dame, however, still lives on in the flourishing Association. The Annual General meeting and Reunion is the highlight of the year with over 160 members still attending. The Sisters came to Manchester in 1851 to Stock Street next to St. Chad’s church. In 1893 they moved to larger premises in Bignor Street. This building had previously been Cheetham Reform Club. 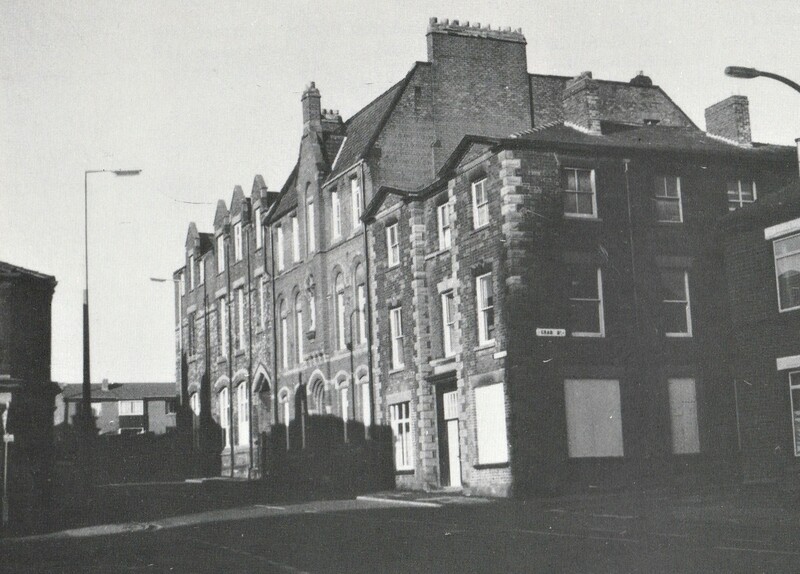 As the school grew, the buildings were extended along Heywood Street and Bignor Street. Many former pupils will remember the new buildings of 1954, 1962 1964, 1970 and 1973. The pupils were taught on both sites until 1981 when the Bignor site closed and new classrooms were built on the Blackley site. The last two Headteachers at the school were Sr Mary of the Dolours SND 1948-1960 and Sr. Marie Therésè SND 1960-1977. 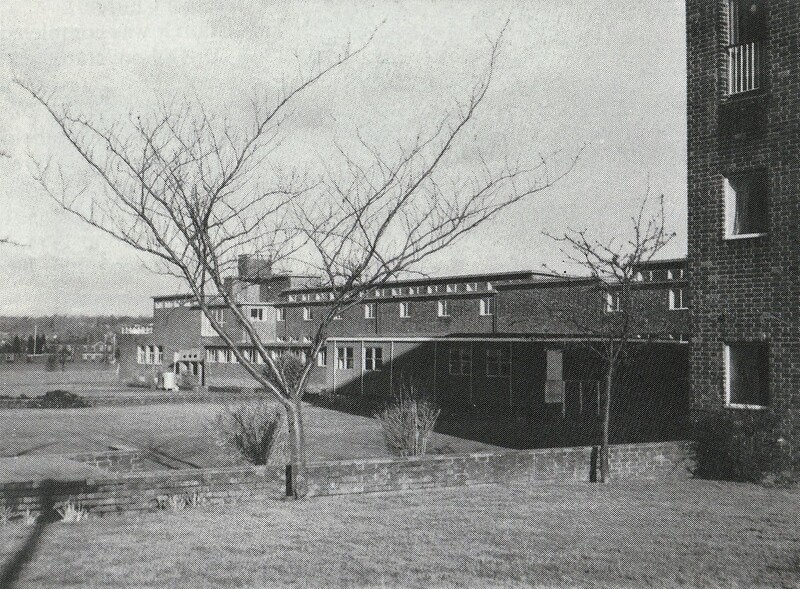 The school and convent have since been demolished and replaced by a housing estate. Convent of Notre Dame, Bignor St Manchester This picture was taken in March 2011 by Pauline Yates. 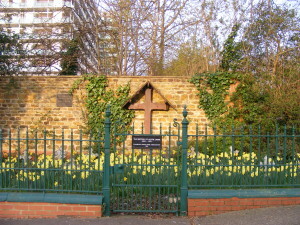 Chapel as seen from the Garden It shows a stone plaque which used to be outside the main door of the convent and which is now incorporated into a wall on the Housing Estate. In 1858 William Vaughan, Bishop of Plymouth invited the Sisters of Notre Dame de Namur to look after the Poor Schools which had been set up in Plymouth. On 26th July 1860 they settled in the presbytery of St. Mary’s, which until 1858 had served as the Pro –Cathedral, and taught at the Cathedral and Devonport Missions. In 1865 land was bought in Wyndham Square and they opened a girls boarding and day school. The school moved into their new premises in 1868. 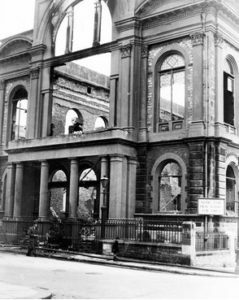 In April 1941 the school was damaged by an air raid during the ‘Plymouth Blitz’. The school was evacuated to Teignmouth, where there was already an existing Notre Dame school. 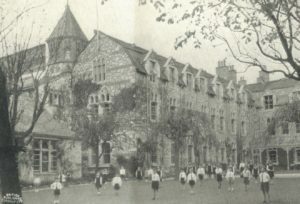 The school returned to Wyndham Square in 1945. In 1966 the school moved to its present location in the grounds of the former Convent of the Sisters of Notre Dame in Looseleigh Lane. In 1981 the Bishop Vaughan Secondary Modern school merged with Notre Dame and St Boniface’s to form two comprehensive schools one for girls and the other for boys. This website would like to thank Notre Dame RC School Plymouth for permission to use these photographs. There used to be a thriving Old Girls Association. This was started sometime in the early days of the Federation circa 1930. The Association folded in 2007 but several members still keep in touch via the Direct Members Association. 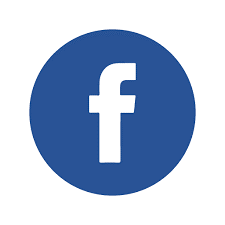 As yet we have not published a history of Oxford Notre Dame High School and there is no longer an Association but a Facebook page has been set up by a former pupil. 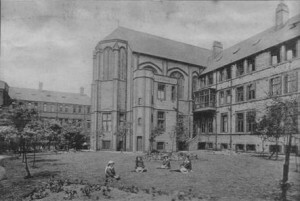 The Sisters of Notre Dame de Namur first came to Leeds in 1898. Sister Marie Eugenie as Superior with four other sisters arrived in August 1898 to open a new convent in St Mark’s Ave. This was at the invitation of Canon Croskell of St. Anne’s Cathedral who wished the Sisters to provide a Pupil Teacher’s centre and at the same time, take charge of the schools of which he was manager, namely St Anne’s Higher Grade, St Anne’s Cathedral Schools and the Holy Rosary School. Canon Croskell also was instrumental in bringing the Jesuits to Leeds some years later. He is remembered by a plaque beneath the Perpetual Succour Ikon to the right of the Lady Chapel in the Cathedral. In September 1898, only a month after their arrival, the Sisters opened the schools being assisted by many Pupil Teachers who taught during the day and themselves studied each evening and at weekends for the Entrance Examination to Training College. They were instructed by the Sisters who themselves had also done a full day’s work. The early days were hard. The formal opening on 12th October 1905 of the newly built Notre Dame Collegiate School was the culmination of much planning and the surmounting of many difficulties and setbacks. In 1920 two netball courts were added and also the new Chapel and the extension to the convent. In more recent years Trinity, Cuvilly the Holy Lawn and the Bottom Courts have disappeared to make way for more classrooms and specialist accommodation. From those small beginning in 1905 when there were 7 teachers and 75 pupils, 11 boarders and 64 day girls, numbers grew steadily until the 1930s when numbers (including boarders) increased to 300. At the outbreak of WW2 St Anne’s Higher Grade were evacuated to Kirk Sandal, the Junior Collegiate pupils to Boston Spa and the Seniors to Lincoln. During the post war years the numbers of pupils grew to 600+. These were day girls living locally or travelling in from the West Riding. 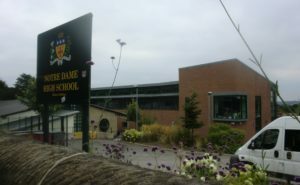 In the early sixties the school changed its name to Notre Dame Grammar School, no doubt to reflect the fact that the school had become a Direct Grant School and although in the ten years or so after the war there were still some paying pupils, the majority, having passed the eleven plus, were being paid for by the local education authority. 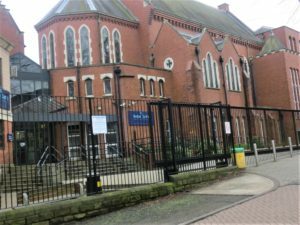 In the 1970s the Sisters handed over the school to the Diocese of Leeds in order to channel their talents in other directions. In 1978 there was yet another name change, this time to Notre Dame High School. The school in common with all the other Diocesan Direct Grant Schools became a comprehensive school for girls aged 13-19 years. Another decade and another change , for in 1989, the school, still on the original site, became Notre Dame Sixth Form College. The sixth forms of Mount St Mary’s, St Michael’s and Notre Dame were merged to become a Sixth Form College which now has over 2000 pupils. Many of the buildings are unrecognisable but much of the convent and the chapel have been taken over by Leeds University Catholic Chaplaincy. The Leeds Association closed almost 20 years ago but some former members keep in touch via the Direct Members Association . A few meet up for lunch on occasion. Details may be found on the Other Events page. In 1855 Canon Scully of St Marie’s Church approached the Sisters of Notre Dame de Namur with a request for some of the Sisters to come and teach in a school which together with a chapel for the many Irish immigrants whose numbers were increasing steadily. This was St Vincent’s. The Sisters were also to teach in St Marie’s. The Sisters arrived in July 1855. They were to teach at St Vincent’s for just two years. During this time, they made several improvements. 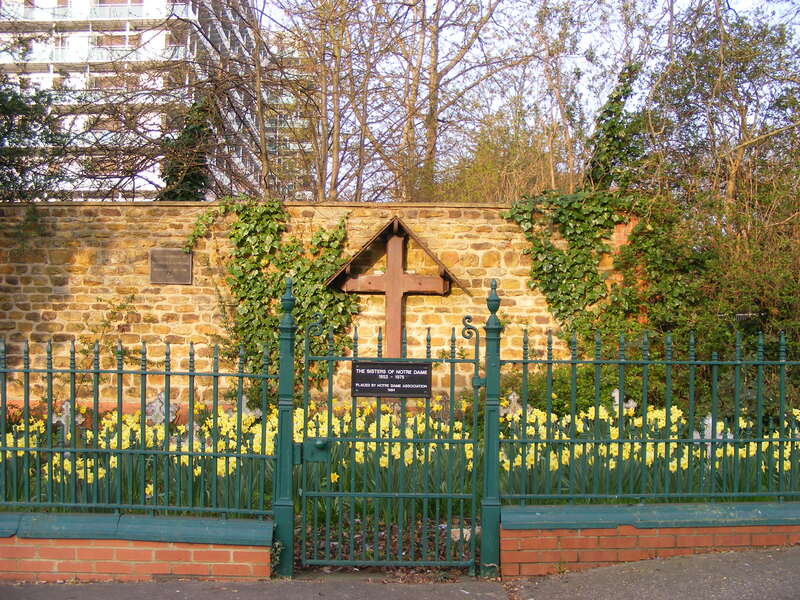 In 1857 the new church of St Vincent was opened and the sisters of Charity came to the parish so the sisters of Notre Dame withdrew and kept on St Marie’s school and their own school which they opened in Holly Green House. In 1862 a new convent was opened in Cavendish Street. The finance for this came from the Hon. Mrs Petre ( Sister Mary of St Francis) who financed several new convents. (see History of Southwark ND). Numbers of pupils grew steadily from less than a dozen in 1862 to between 30 and 40 in 1885. A new extension was built in 1890, another in 1908 and a science laboratory in 1913-14. 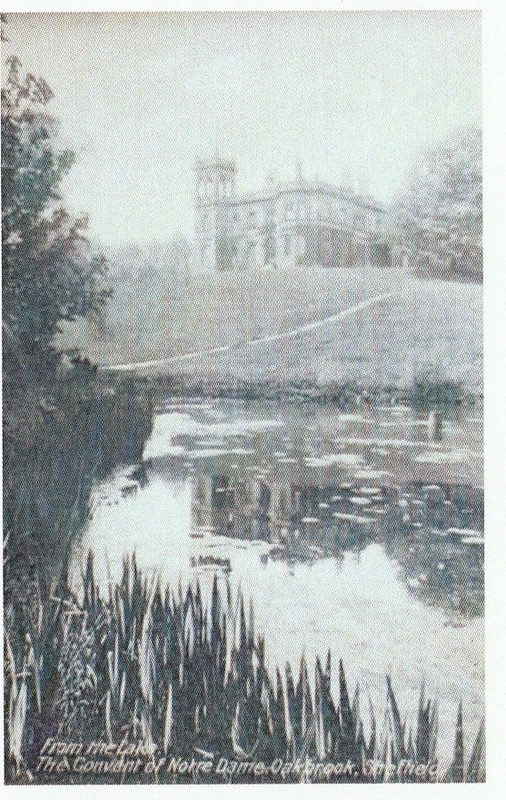 In 1919 the sisters bought Oakbrook House and estate. The house had been built by Mark Firth the steel magnate. The immediate benefit of this purchase was that the sisters could move there and release room to expand the school. It was clear at the time that the intention was to build at Oakbrook and move the whole school there. Lack of finance was a possibly reason why it took so long before building commenced. Numbers however were increasing and by 1935 were over 500. The plans were drawn up in 1932/33 and the new school opened in 1935. The new building had marvellous advantages of space and clean air outside the city. One of the many facilities were ‘state of the art’ domestic science rooms which Cavendish Street pupils shared. Any further progress was halted by the beginning of the Second World War. 145 pupils were evacuated to Derwent Hall in early September 1939. Conditions there were not good, Oakbrook House was crowded and because of fears that Cavendish Street might be requisitioned, Cavendish Street was opened again in September 1940. In December 1940 after a heavy raid on Sheffield, the school suffered bomb damage and was closed again for some time. 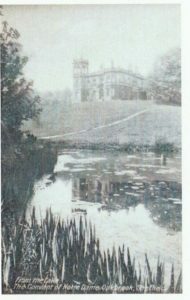 Some of the school remained at Derwent because many parents were reluctant to allow their children to return to Sheffield. The school however left Derwent in July 1941 as conditions had been getting steadily worse. The local authority inspectorate declared that the Hall was derelict and living conditions impossible. The 1944 Education Act presented new challenges. The school was given Direct Grant status in 1945. Sr Marie Pierre made a strong case for continuing provision for non-academic as well as academic children. The opportunity of developing practical subjects had begun with the building of Oakbrook domestic science rooms. One major problem was the increasing numbers of applications for the preparatory department and the necessity to balance the increasing demands with available resources. There were increasing numbers with limited space at Cavendish Street, while there was spare capacity at Oakbrook. It was decided in 1947 to amalgamate the two schools. The preparatory pupils would transfer to Oakbrook plus four forms of “practical course pupils”. The Oakbrook pupils following an academic course would transfer to Cavendish Street. Following a General Inspection in 1952, the school was again divided this time between juniors at Cavendish Street and seniors at Oakbrook. The inspectorate did not think that the division of the school into academic and non-academic was ideal. The preparatory school was closed altogether. Following the government decision to abolish grammar schools and move to the comprehensive system, there was much discussion and disagreement This scheme was put into place in 1976 about the various models put forward for the integration of Sheffield’s Catholic schools. The initial arrangements allowed for two Catholic 11-18 comprehensives, of which Notre Dame was one and two 11-16 comprehensives. 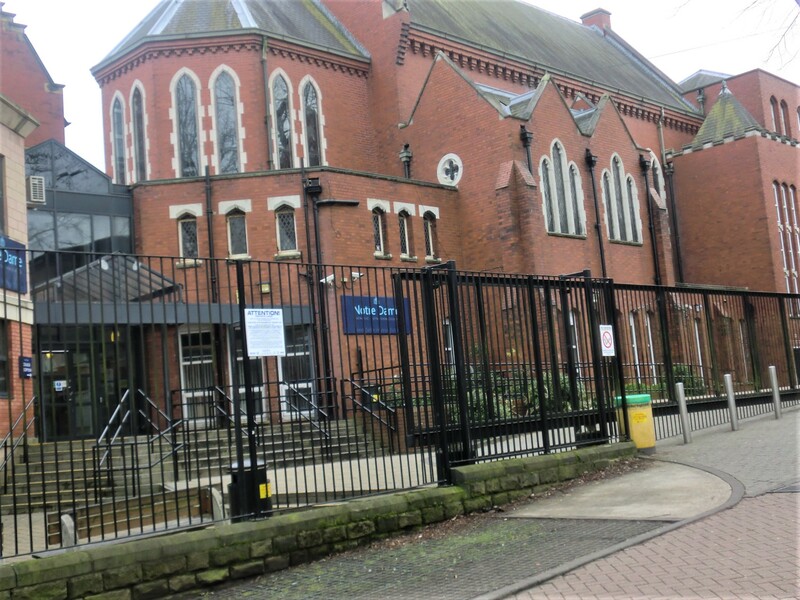 The Notre Dame order considered this decision and decided that in view of the considerable financial burden the reorganisation would bring, they would hand over the school to the diocese of Leeds. In September 1976 Notre Dame became a mixed comprehensive. By the early 1980s it was clear that the two 11-16 comprehensives schools were under subscribed so each were merged with one of the 11-18 comprehensives. In 1984 Notre Dame merged with St Peter’s. Cavendish Street was very overcrowded. The Amalgamation however did mean that there was an opportunity to move the whole school to Oakbrook as the LEA would consider financing the project. In the summer term of 1988 Notre Dame said goodbye to Cavendish Street with various celebrations attended by two former headmistresses Sister Mary and Sister Marie Philippa and of course Sister Helen Geilty the existing headmistress. On 12th September 1988,the first year and sixth year pupils were joined at Oakbrook by the rest of the school who because building work was not completed had had a prolonged summer break. Finally, the dream of the sisters in the 1920s had been achieved. Those sisters who remained in Sheffield moved to a smaller house in Broomhill. The move from one site to two meant that the LEA started to put pressure on the school as they were considered over staffed. At the same time, there were also new government initiatives in place for the management of schools. In September 1989 the school learnt that Sister Helen had been elected by the general chapter of the Notre Dame sisters as their Moderator General and the governors agreed that Sister Ellen could be released from her role and a lay head teacher appointed. The school kept its name but the Sisters of Notre Dame de Namur, while keeping links with the school, no longer had one of their Sisters as the headmistress. The school continues to build on the inheritance left to them by the sisters. In their mission statement, the school is challenged to “judge if they were being faithful to the spirituality and mission of the Sisters of Notre Dame de Namur”. Sheffield Old Girls Association disbanded in 2005. Former members sometimes meet up for lunch. See Other Events. 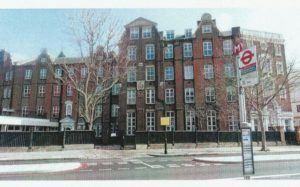 The school was founded in 1855, when six sisters arrived at Preston House, St Georges’ Rd in response to a request from Bishop Thomas Grant to teach in St George’s Cathedral school. They also opened a day and Sunday school on their own premises. The early years were hard for the sisters and the early pupils who paid 9d per week. Land adjoining the school was bought in the name of the Hon. Mrs Petre (Sr Mary of St Francis) and the first stage of expansion began. 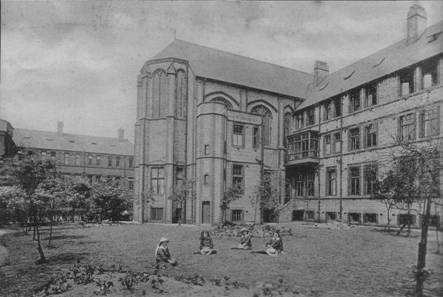 In 1870, the sisters opened a boarding school for pupil-teachers who taught in the school and other schools in the area. As numbers increased, a new building attached to Preston House was erected in the 1890s. A large five storey building replaced the original Preston House in 1908. The number of pupil teachers dropped until the system was finally abolished in 1923. The boarding school was closed in 1935 and another phase of building began as day pupils increased. The Duke of Norfolk opened a new building, attached to the 1902 extension, in 1937. The Second World war saw the pupils and staff evacuated to Weymouth, where some lessons were actually taught on the beach! By 1940 many girls had returned to London but the Blitz necessitated a second evacuation-this time to Northampton where they shared the facilities of the local Notre Dame school. The London School was quite badly damaged but by 1943 it had reopened. The 1944 Education Act nominated the school as a Grammar school, in which capacity it flourished during the post war years. By the 1970s however, the school widened its intake to become a Comprehensive school. This was made possible by the generous decision of the Sisters to move out of the building. To broaden the curriculum, the school joined a consortium of local schools but the Diocese decided to set up a Sixth Form College in Clapham to cater for the sixth form needs of the local Catholic schools. This was set up in 1985. Southwark Notre Dame therefore became an 11-16 school. The most recent development has been the building of a new wing at right angles to the front of the school. It was opened in 2012 and has provided better dining facilities and freed up space in the main building for more music and drama. With many thanks to Angela Parsliffe. The First Sisters arrived in St Helens on 3rd May 1858. The Jesuit fathers from Lowe House provided a house for the Sisters in Hardshaw Street. It contained no furniture and two large rooms. These two rooms became the beginning of Notre Dame High School. The two rooms were soon insufficient to accommodate the numbers applying for admission. 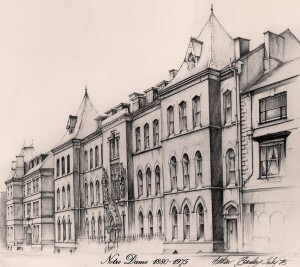 The sisters acquired a property in North Road and it was there that Notre Dame High School began to establish itself. The curriculum became more varied and classrooms were added at various times throughout the century. Laboratories were added in 1904. The school became a Direct Grant School following the 1944 Education Act. 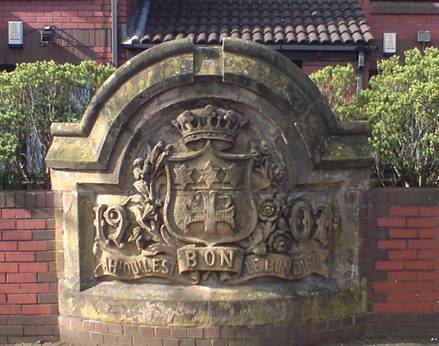 The foundation stone of a new school in Eccleston was laid in September 1951. This school was finally completed in September 1954.